Bike to work and look fresh-pressed when you walk into the conference room. 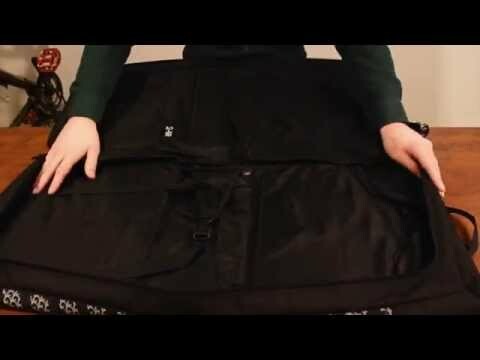 This hybrid garment bag and bike bag drapes over your rear rack, and keeps your dress clothes clean and crisp. Designed in Vancouver, it's made to protect your good clothes from rain (we're betting our mayor has one). Fits a full suit, a pair of shoes, ties and belts, a towel, a toiletry kit, bike tools, keys, wallet, phone, lunch and a laptop. Made of TPE-coated polyester with large zipper flaps for high water resistance. Secure Rixen & Kaul mounting system is fully adjustable to fit most racks with 6-12mm diameter tubing. Padded laptop pocket fits up to a 15in. laptop. Main compartment opens with a wrap-around zip, accommodates full-sized hangers and has a cinch strap to keep items in place. 5 external pockets and an interior mesh organizer hold your accessories and toiletries. 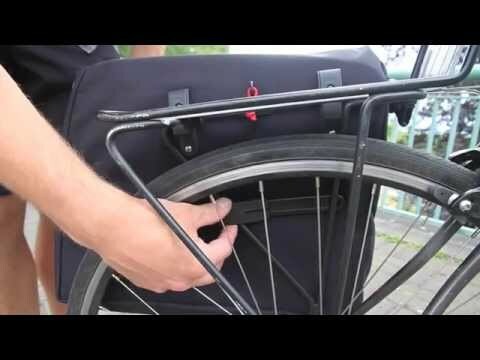 Tuck-away hook allows hanging while you change and pack. All zippers use glove-friendly pulls. 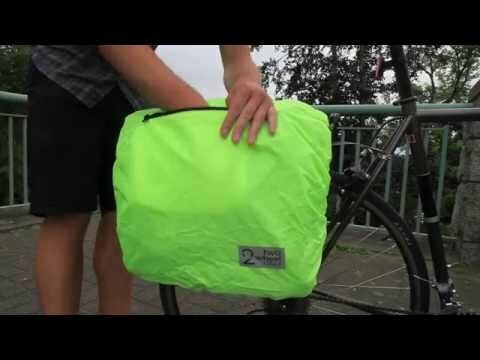 Includes a neon green rain cover that tucks into a clip-on pouch. Reflective accents add good viz in the dark months. Reflective rear accents and loop for a light.